For all the non-rooted 2.1 users out there, we have not forgotten about you! One of our tipsters just sent in this app called LinkPush which is essentially Chrome to Phone, only it works on Android 2.1 and you don’t have to be rooted. Just tried it on my Incredible and it worked as advertised. 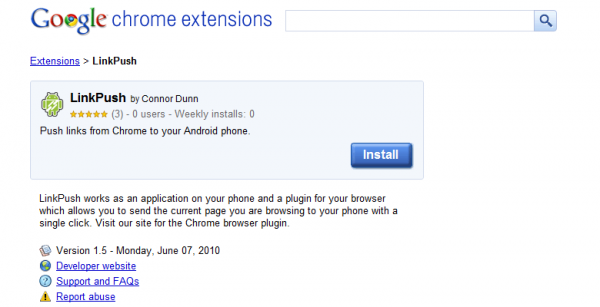 First you need to download the Google Chrome extension. Try this link, otherwise just search extensions for “Linkpush” and install it. 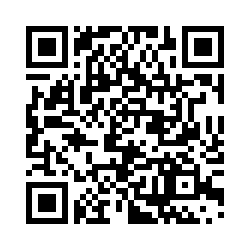 Then using the link or QR code below, download the free LinkPush app to your Droid. After that, browse to a page you would like to send to your device, hit the LinkPush extension button in Chrome, give it a few seconds, open the LinkPush app on your device, and BAM! Enjoy!